Colossal losses that state-run SriLankan Airlines was made to suffer since ex-President Mahinda Rajapaksa chased away Emirates Airlines, and a questionable aircraft deal, is a national financial crime, Deputy Minister Eran Wickramaratne said. SriLankan Airlines, which made profit of 4.4 billion rupees in 2008, the year in which the management agreement with Emirates Airlines ended, has lost 107 billion rupees since, then. The Rajapaksa administration had cancelled the visa of then Chief Executive Peter Hill because he did not bump enough paying passengers to accommodate a large entourage of the President Mahinda Rajapaksa in a single aircraft, he said. “The CEO had said ‘We should not offload all these passengers since they are citizens and they are paying passengers where there is a contract’,” Wickramaratne told parliament. Emirates exited the airline after 2008 sold their 40 percent shares to the government. “This is a national crime. We may get a benefit when we travel on SriLankan but every citizen pays. When they buy even a small item from a shop that tax is used to cover the cost of these flights. In 1998, the then administration of Chandrika Kumaratunga had decided to sell 40 percent of the equity of SriLankan and give management to Emirates after it suffered years of losses. Wickramaratne said an idea was spread that the companies should be state-owned and that they should be kept going at whatever cost and people were shown beautiful aircraft with the national flag flying. “But it actual fact there are more debts than assets behind those aircraft,” he said. By 2015 accumulated losses of 128 billion rupees, debt of 76 billion rupees (542 million dollars) and a hole in its balance sheet of 74 billion rupees. The hole in the balance sheet would have been bigger if not for capital injections by the Treasury from taxes collected from the people. “Airlines are a competitive business, it is not a monopoly like Ceylon Electricity Board,” Wickramaratne said. Ultimately losses have to borne by people who pay taxes when they buy everyday goods, he said. Its staff which was 5,113 in 2008, had been increased to 6,987 by 2015 increasing operating costs. “We (parliamentarians) are asked to give jobs. I am also a parliamentarian. But we have to think of the country before ourselves,” Wickramaratne said. Sri Lankan Airlines had been given 100 million dollars each year to cover losses by the Treasury. SriLankan’s management had then decided to buy A330 and A350 aircraft in a reckless manner, he charged. The Airbus A350-900s aircraft were made to travel 17 hours at a stretch, when the longest direct flight was about 11 hours. The final board decision to buy the aircraft had been made at the residence of the Speaker (who was President Rajapaksa’s brother) in the absence of three directors. The Chairman of SriLankan was President Rajapaksa’s brother-in-law. “This is not connected to the Speaker. 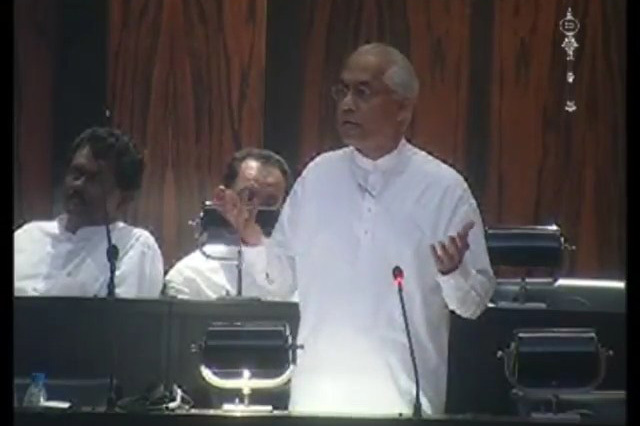 I am not saying the Speaker was connected to this matter, but the meeting should not have been held there,” Wickramaratne said. “There is a suspicion why the board meeting was held at place like this. Who else was there? He said according to documents 780 million dollars in government support was needed in the three years after acquisition. An 80 million dollar deposit had been paid. “Aviation experts have told us that the lease contract terms are 25 percent more expensive than normal and it needs to be looked into. “The present value of the lease liability over the next 12 years is 1.5 billion US dollars. “This is a financial crime. We have to investigate this. Slagelse is especially renowned for http://firstessaywritinghelp.com/ its handball, badminton, hockey, gymnastics and golf teams and attracts big names from across the different sporting disciplines.